i prepared a new hw system that allows us create new hw system without administrator mode. 1-I dont want to delete or remove old h.world systems for their owner,they can keep their system with their own way. 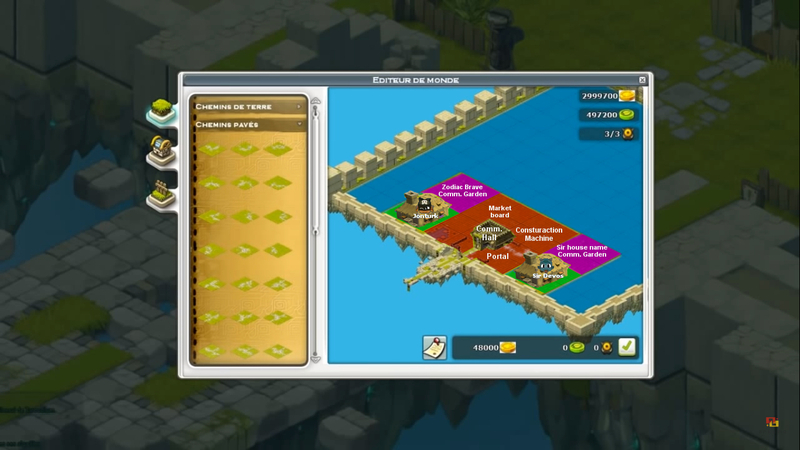 2-I only want to create a new community system as h world system maybe with less data storage for wakfu. 3-Stratch the "guild" word and system in your mind. This guild word will be called as "community or "brotherhood,friendship,marriage" by me. Here is how i planned the new system. Community is a kind of sharing gifted community gardens with each other(s) between min 2- max 16 different accounts. This is a haven community world in game. Haven world has got 12x12 mini sections.2x2 mini section is matched a hbag size.i will call this 2x2 sections as 1 section in my system. So i wont be changed any size area of HW. Haven world has got 6x6 (36 sections) right now. 4 sections is for common community hall and 1 section is for their haven house section and 1 section is community garden per members for total 16 members. 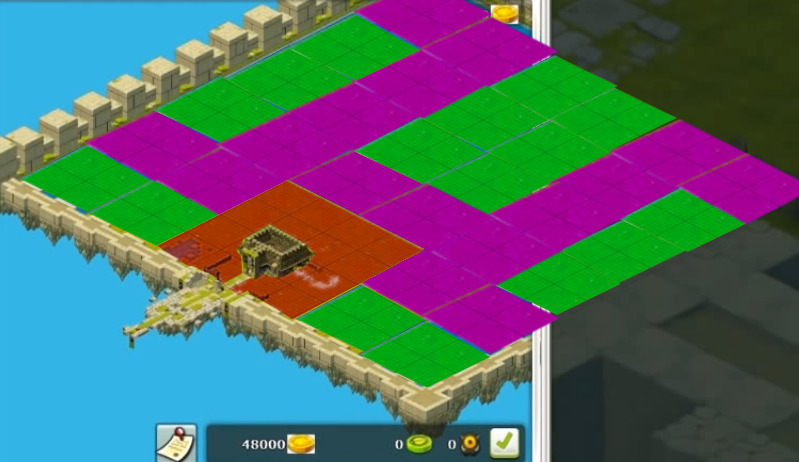 Green tiles are house base and dark purples are comnunity area for common usage. Every heroes have got a haven house instead of hbag. This house is already hbag when you are in it. Each account player assign (or change) a house name ,flag design by using a houseolem even if they are not in a community by using their control panel. 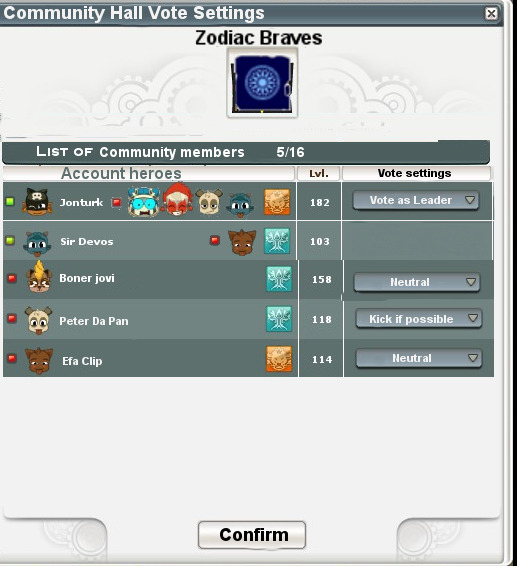 All alt heroes in an account share the same house of a community in haven community world and common community name(as guildname). Alt heroes of an account use the first assigned community name or last changed name by other heroes. my new community system will remove this mess from game. Dont think you will not access your haven house while you are away from nation trees. i will explain this solution below by a tool which is called limited I.D.S. -Any 25+ level hero can send invite request to other 25+ hero(es). 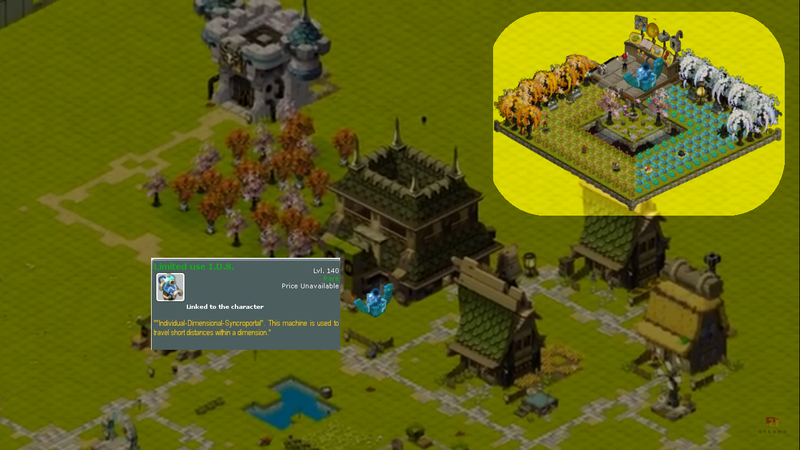 -The community haven name(guild name) will be assigned as house name of request sender. 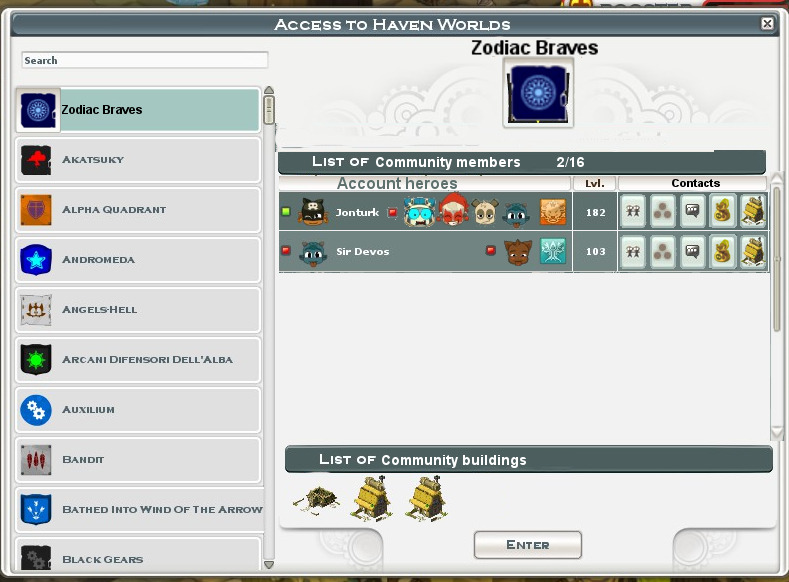 example: my house name (current guild name) is zodiac braves.if my friend has accepted my request , our haven community world be assigned community of Zodiac braves. -keep in mind,Community haven worlds have not got any administrator system. An Account(all heroes) cant accept request from other community players while any member(s) are in zodiac braves community. Game warns community members to resign from their community first. if Comm. leader wants to resign and if community has got 2+ members, game will ask for new community leader from resigned leaders,then game will assign new community name as chosen member's house name then leader resigns from their community. -an abandoned house in community.Any member cant enter this house or comm. garden till new member joins. -Community loses point of abandoned member and community level may decrease cause of missing member's community points and cannot use level's permanent bonuses or improvement. Members dont need to use Comm. desk in Comm.hall or online if they are ok with their vote settings. This setting will be applied in 1st day of month. info:60+ days offline accounts is counted as abandoned accounts by community. Community can kick Community leader if account is abandoned by using kick vote system. Last Leader continues as Comm.leader if none votes in 1st day of month. Community leader has got a right to kick directly 60+ days offline members which as abandoned accounts from their community. For Unwanted account(s),Community members have got a vote kick system in comm. hall. Unwanted account house will become abandoned. Players cannot enter comm. gardens if they are not part of this community anymore. Members cant sell or pack each others objects(tools ,decorative etc.) in all comm. gardens. Members can use,reposition each other tools,decoratives, etc. in comm. gardens. Members can collect or sell resources from comm. gardens. Game packs builded objects from community gardens for kicked unwanted,abondoned,resigned accounts into their rewards box. Player dont lose their community points ,they carry the point for their next community. 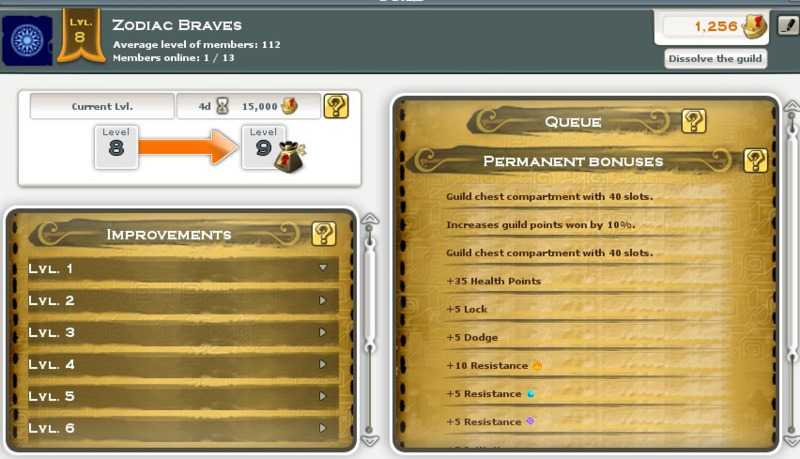 -Community level is determined by sum of all member community points. -All heroes in an account use same house location and community points and community settings but do not use their haven house designs or house gem setting or house permissions. Haven houses are private as hbags for each heroes in an account.Community permissions are not house permissions. 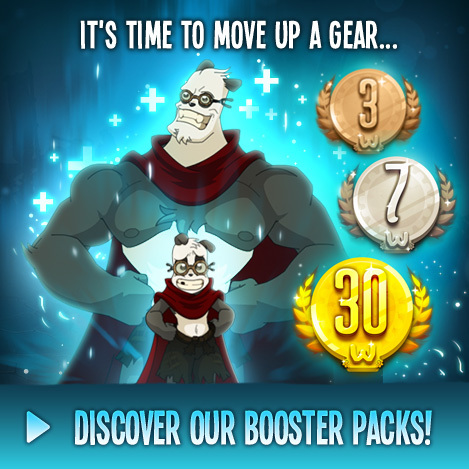 -Community level has got 1 to 10 levels to be unlocked by community house points per account. a.Kill 10 monster to charge limited i.d.s tool. -This quest can be linked to pandora.she already gives 10 monster quest for temple. b.Complete a dung. with your community member(s). c.Replant 15 seeds or Craft 10 items in community world. -a full gem h.bag size is 18x18 tiles that equals 1 section of an HW. -a HW size is 6x6 sections,its 1 section is equal 1 haven house(hbag) with full gems and 6x6 sections is equal 108x108 tiles in total. simply HW size equals 36 h.bags in current system. 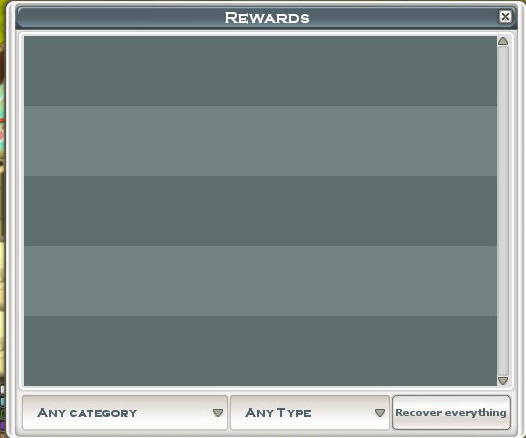 Every member has got community points and this points will unlock their community levels and their extra improvements. Community points is private for per community members and they keep up and carry these points even if they have resigned from last community. When 2 new players decided to create a community who their community points are 0;0 CP means level 0 community. which is called "hall of hw community". Each House has got 9 gem slot(18x18 tiles) and includes 1 chest and 1 house control panel.Member houses use 1x1 section per member in 6x6 sections of haven world. Thats reason , community has got member count limits of min. 2 and maximum 16 members per a community group. When they have got their first level after reaching its point ,they will access objects in hall of hw community. Hall of community is a base (72x72 tiles=4 section size) that includes guild bank as community storage,I.D.S portal,Community nation market board and community construction machine on it. Around of this hall will be expanded and accessable to be designed every corner of hw by members. 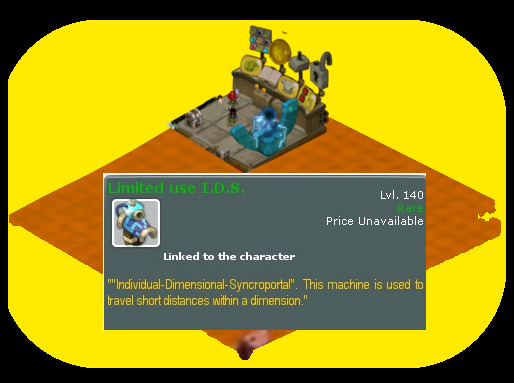 I.D.S portal is a kind of transport point to be accessed community from any point.Limited ids will be equipped after level 25 of your heroes when hero is ready leaving astrub in nation quest by astrub's bossowl. I.D.S will enable the hbag button on main ui screen to use. 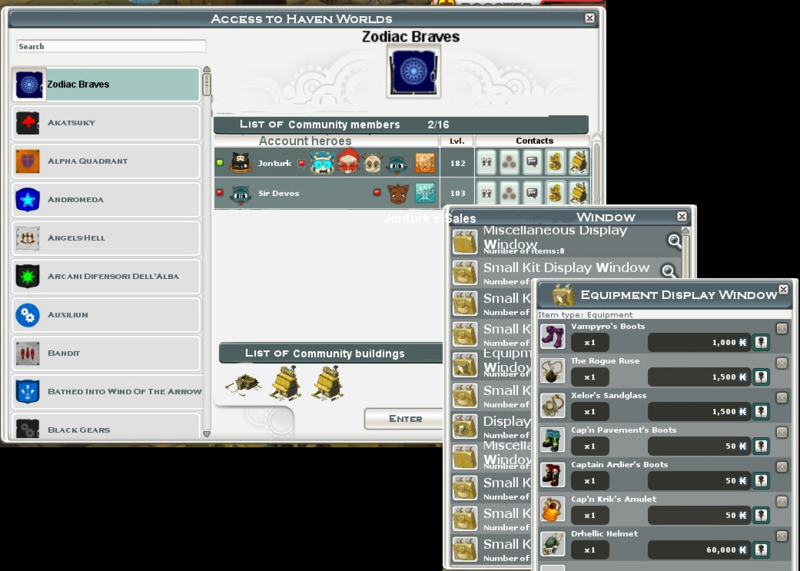 Community store(Guild bank) is a place to share or stock common items for each others.its first tab will be unlocked at level 1 by community point. Community Nation market board is a tool that linked to nation boards. 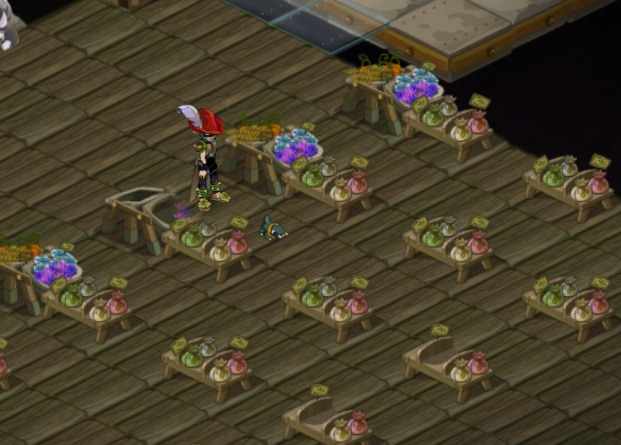 A community member who has got merchant display kits in private haven house, other players in game see this member name(s) and what their sales by clicking their community name > member's hbag icons on nation tree menus. Community construction machine is to redesign Comm. gardens style and build all tool and facility buildings or their position in whole 6x6 sections of community haven world. C.machine will be unlocked in level 1 improvements by community point. 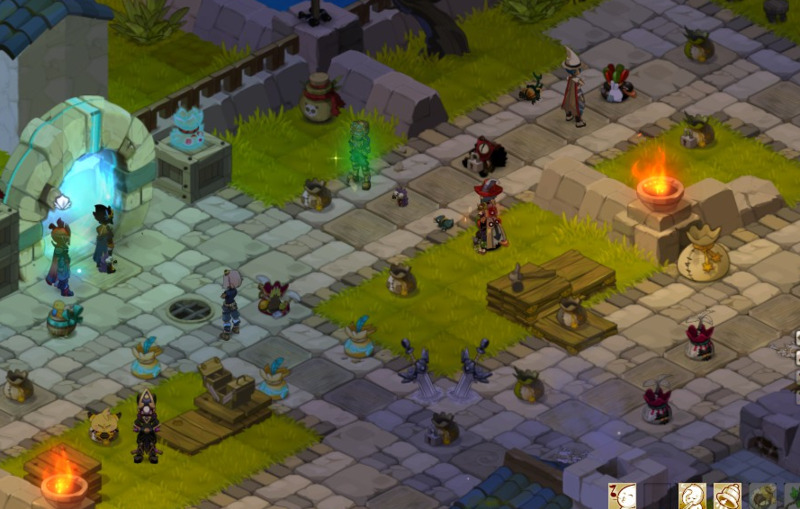 Players can obtain tears quests from Ruel instead of Mod'ula.Ruel already a token producer and Closer to astrub inn. You are free to ask your question or if i missed something about system. Thank you for reading. Too bad they are way too stubborn about changing or tweeking their Haven World system to actually work better in game. Amazing ideas though, the time and thought that went into this should at least have granted you some acknowledgement even if it's a blatant, "no sorry we aren't interested.."
thank you for supporting , i only wanted a huge area shudnt be owned by 1 person if it is called "World" and if other guild members have helped the hw owners to expand it.if enough supports will be given im sure Ankama will work on it for future. Sadly Ankama seems to be spreading itself too thin with all the newer projects and games being created... they remind me of that parent that has a child then later forgets or neglects it only to feel bad every now and then, come back to give it some attention then just do it all over again <_< nothing can become great or what it should be when you create it with a purpose then abandon and give up on it. 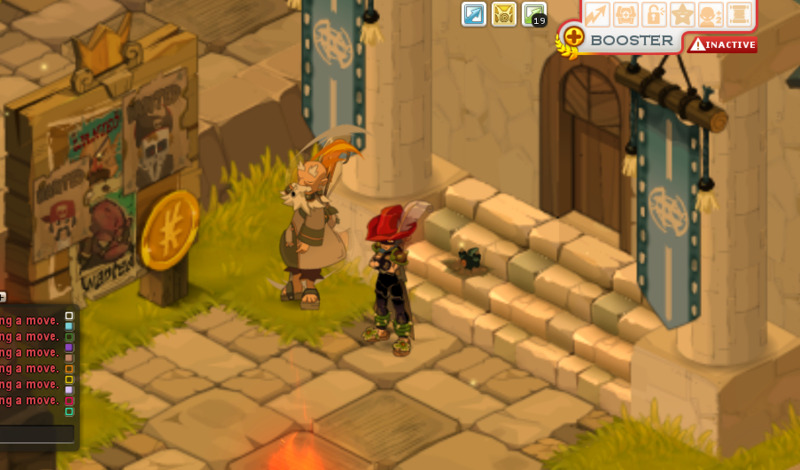 There are 2 programmers for wakfu if i m not wrong and i can agree that they can be bored after 4-5 years to support a game over and over to fix its bugs, intellgence of mobs and added new things. i just play the game over a year, When you think still annoying bugs are in gameplay and sometimes you cant find any point to do in game , You may enjoy designing areas with others or designing new clothes for your heros. Of course Devs or Ankama may want to abandon their project(or carry other platforms like unity) instead of changing current systems or other things if this is better way sometimes. This suggestions are only suggestions to keep people in game, nothing more. it has not to be totally my purpose. As i said ,it is all about "devs" and "their purpose" in the end for their games. waven canbe a new fashion for ankama to be dissapointed but it will be less popular than wakfu or kind of games that im sure. I hear you, I didn't mean that I expect them to only focus on Dofus and/or Wakfu... yet these were the games that made them big imo, or would have had they cared enough about ppl's love for the game internationally. I digress. Anyway, it's just frustrating to see such a beautiful, wonderful game with so much potential to last, go down the drain slowly because they are tired of it (if that is indeed the case, didn't even consider that tbh). It just seems like such a waste after all the attention and eagerness they put into it at first..
Oh well. Maybe something similar will pop up in the future which we can escape to.